Welcome home to 7212 Londale Blvd!! This beautiful former Wicklow model home has it all! Walk in to the formal Living and Dining and get swept away with enormous ceilings to compliment this handsome floor plan. 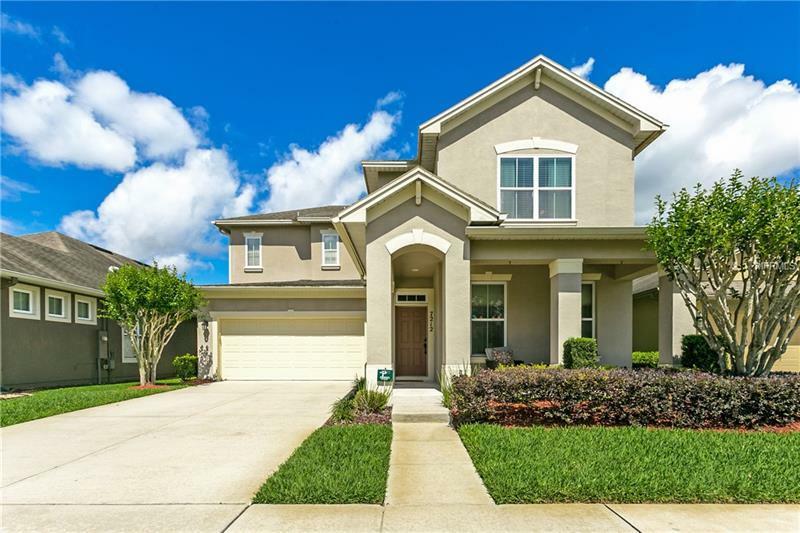 Towards the back of the home you will find the open floor concept extending from family room with Built in cabinets made exclusively for this model, connecting to the upgraded gourmet kitchen complete GE Stainless Steel appliances. These two rooms being the heart of the home, overlook the sparkling self-cleaning pool complete with solar panels and fountain. Make your way upstairs to the luxurious Master Bedroom with separate his and hers closets and even itâs own coffee bar!! If this isnât enough, more upgrades in this home are organized Built in Tech/ Study center in hallway, premium laminate floors on first floor, 18 inch tile, new second floor AC unit and surround sound speakers throughout entire home. Enjoy nightly Magic Kingdom fireworks directly across the street! Close to shopping and restaurants and zoned for great schools! This one won't last long!